Jonathan leads the Development Team which is responsible for national campaigns to raise private funds through philanthropy and corporate partnerships. 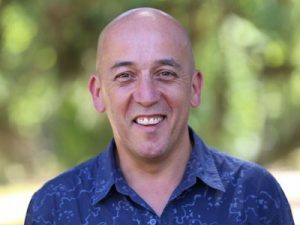 With Greening Australia since 1999, Jonathan was CEO for both Tasmania and Victoria, prior to Greening Australia becoming a national organisation. He successfully led the fundraising and development of the Sustainability Learning Centre in Tasmania and a team focused on large-scale ecological restoration in our Tasmania Island Ark program in partnership with landholders, underpinned by cutting edge science. Jonathan now leads a national team focused on globally significant Australian campaigns for people and nature to thrive. Jonathan is a Fellow of the Australian Institute of Company Directors, a 2014 Winston Churchill Fellow, a member of the Fundraising Institute of Australia, and holds a Bachelor of Engineering and qualifications in Environmental Studies and Sustainable Development.